Once a week I find my new favourite-thing-ever and this week is no exception. This is the perfect baby gift (I know I say that a lot but hear me out) as it actually is something for the mum and baby to share. A seriously smart teething necklace from Tiny and I. We all know that little babies don’t care about any of the fancy toys we buy for them, all they want is something to chew on. We also know that chunky jewellery is a mum’s greatest ally when it comes to trying to look funky, even in an outfit that consists of a maternity top, dirty hair and pants that aren’t done up. 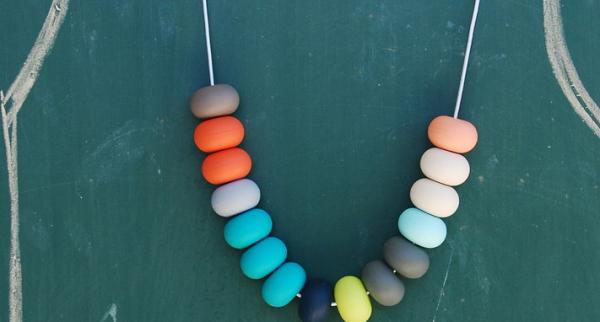 At first look you would never guess that these beads were made of food-grade silicone, just like the teat of a bottle, but this is a necklace specifically designed for bub to chew on. 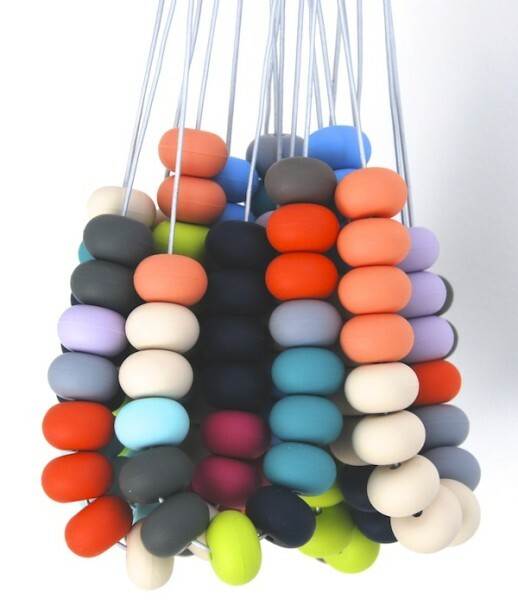 Super trendy colours, all priced between $34 and $42, designed and assembled in Australia and free shipping; can these guys get any cooler? Oh yeah, they also have a grammatically correct brand name. Make sure to check out their gorgeous prints while you’re there.